The next Olympic summer games will take place in 2020 in Tokyo, Japan. The application process for Olympic volunteers was accomplished in December 2018 for around 80,000 “Game Volunteers”, which are needed for guidance, events, mobility support, personal support, operational support, healthcare, technology, media, and ceremonies, along with around 30,000 “City Volunteers”, providing transportation information to tourists and acting as guides. Also Neha, 26, from the UK, has applied and is currently waiting for an invitation to the 2nd stage of the selection process. Neha had already volunteered at the London 2012 games. We have met her in Tokyo and have asked her about her experiences in London. Why did you want to become an Olympic Volunteer? I wasn’t sure initially, but my teacher at the time told me that I should try. And I thought, if I get in, that would be fun. And I got the job and I was so excited. The whole process was so exciting because I was just telling everybody: “I’m going to be a volunteer for the Olympics” – and what are the chances that you can ever say that? Also on the resume it looks very good. If in an interview they ask you what else you’ve done and you can say: ‘Ah yes, I’ve volunteered at the Olympics’, it makes you stand out and it makes you interesting. After having volunteered in London in 2012, I wanted to apply again for the 2020 Olympics in Tokyo. How did you become an Olympic Volunteer? Basically, in order to volunteer for Olympics, you have to apply two years in advance. You can apply online, on the official website, by downloading some documents that you send them online. Then you wait for them to reply. I think it took like six months for them to reply. Then I had passed the first application stage. Then I had to go to a one-to-one interview. It was fairly casual, they just wanted to know why I applied, what my preferences are and what time I would be available to do the job or if I’m fine working the whole week during the Olympics. After that they kept updating me on what was happening with the events. When they confirmed that I got the position as a volunteer, it went quiet until around two months before the Olympics. So they called me back again because I had to let them know what my size is. Why did they want to know your size? For the uniform, jacket, shoes etc. that you have to wear as a volunteer. They give volunteers everything. You get the oyster card as well, I kept it as a souvenir. During the Olympic weeks, you were able to use it wherever you go, it was free of charge. All the trains I took didn’t cost me anything, so I could get everywhere on time. They gave me everything, my entire uniform, jacket, shirt, trousers, shoes and caps. Everything I got was free, even the little notebook, it was so fun. Were you able to decide at which venue you were positioned? I had to give my top three preferences at which venue I wanted to work. At that time I loved watching tennis, so my first choice was tennis, second was swimming and third was the race track. I got the tennis one and it was so much fun. How did the preparation process continue? Two weeks before it started there was a welcoming party for all volunteers. It was in the Wimbledon arena. We were all there, it was so crowded. It was all of the volunteers and events welcoming everybody, it was so much fun. What was your actual work at the Olympics? I had to show people the way, where they wanted to go. Whatever questions they had, when people were lost or anything, I showed them the way to events they wanted to see or other venues they wanted to go to. I would let them know which trains they could take to go to all the venues. I had a timetable that I could access online. I think I worked five to six days a week. It’s not very complicated. They explained me everything, gave me the map, and a plan for emergency situations. What did you enjoy the most about being a volunteer? I think the best part was, when I was done with the shift, I could go and watch the games for free. That’s how I got to watch the tennis men’s finals. All the players I’ve seen on TV I saw in person. I saw Serena Williams and I saw Andy Murray. He even waved at us. The whole experience is so much worth it, you get to meet so many people and they’re all so nice, even the spectators. The London games were at an English-speaking country, obviously, so I was thinking here in Japan, they will definitely need a lot of English speakers to help them out. What did you like most about the whole experience? I got to meet so many people from different countries but also the volunteers were really diverse. There were elderly people volunteering, and also young students. Age-wise it was very diverse. There were a lot of people from different cultures and obviously you get to watch the Olympic games for free. I also got free food. Were you paid for any of the work? No, I didn’t get paid. But I got all this free stuff, I got the whole uniform. I still have it in my room. I even still have the water bottle, the pens and notebook, even my ID card, but the best was the oyster card. It says Olympic 2012. So I can keep it as a souvenir. What would you say to people who want to apply? Definitely go for it, it’s a once in a lifetime chance. It’s Olympics, it’s the best, so many people watch Olympics, I grew up watching it. Everyone is participating and that is the fun part of it. While the official application period for Olympic volunteers has already been closed, throughout spring and summer 2020 Tokyo expects a strong increase in foreign tourist numbers. Thus, the Olympic Games prove to be a great opportunity for those coming to Japan on a Working Holiday vsa, as there will be more demand for staff who can communicate in foreign languages, particularly in the tourism, hospitality and service sectors. Many restaurants in Tokyo are not prepared to cater to foreign customers and the language barrier is an issue the industry is well aware of. 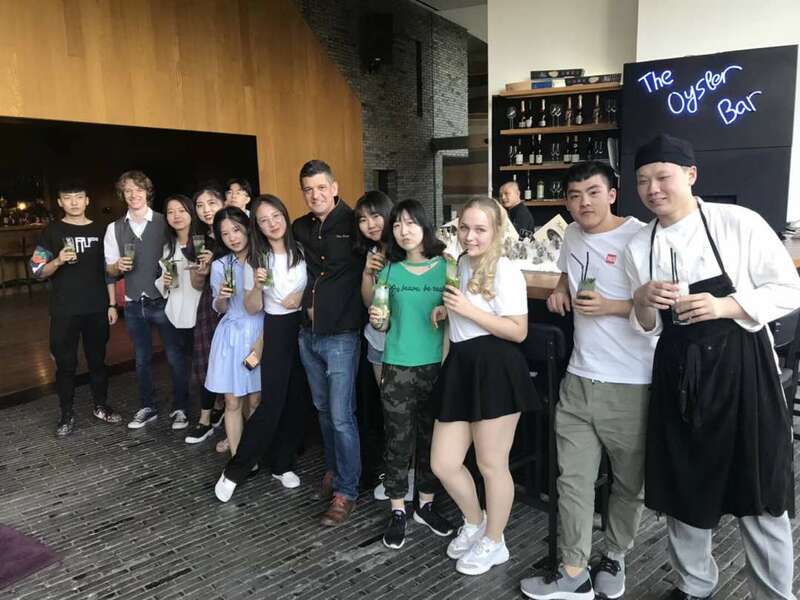 Thus, restaurants will need a large number of foreign-language staff able to communicate with foreign tourists who have little to no Japanese skills while visiting the country. The same is true to hotels and other accommodation providers. Also the tourism industry will be in need of people with foreign language skills to work as guides, interpreters and translators. More generally, in Tokyo, shops of all kinds might increase staff numbers during the spring and summer of 2020, adding staff with foreign-language skills. Job opportunities related to the Olympics 2020 might arise even from now on when businesses get prepared to market to the foreign visitors for the 2020 season. World Unite! offers Working Holiday support services in Tokyo.